Gratitude Challenge Roundup: Reflection, Feedback, and Next Steps Moving Forward! This is the roundup of the 14-Day Gratitude Challenge where you practice gratitude for 14 days. This challenge is now over but you can still do the tasks in your own time! Visit the overview page for all Gratitude Challenge tasks and posts. 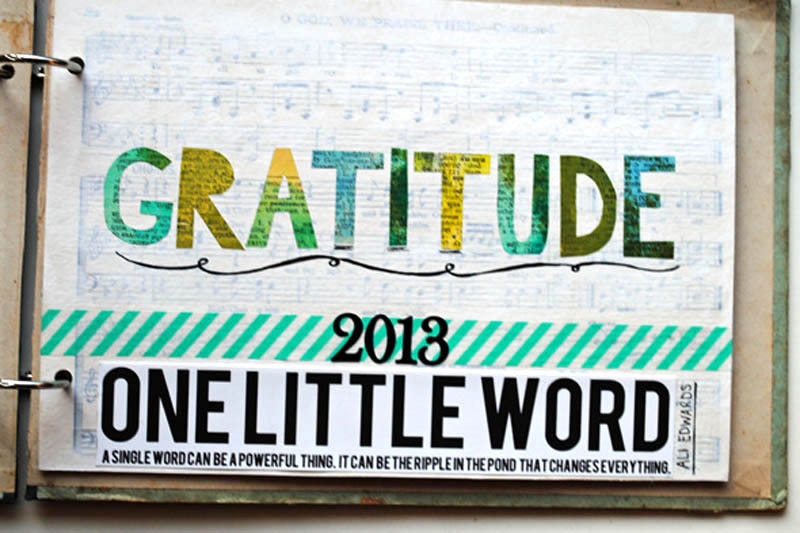 Hi everyone, welcome to the roundup of our 14-day gratitude challenge! 😀 This is the final post of the challenge! With the gratitude challenge now coming to an end, I’d like you to do a roundup of your gratitude experience. Whether you continue this daily gratitude journaling is up to you. The challenge is merely meant as catalyst to get you (re)acquaint with gratitude and cultivate the practice of gratitude in your life. What you do from here on out depends on how committed you are to living a grateful life. As you would probably have learned from this challenge, gratitude isn’t limited to just identifying 3 things you are grateful for every day. It’s a way of life which you live by every moment of the day, be it when you are by yourself, out with other people, or busy with your work. It’s a state of being where you are unconditionally appreciative of everything that you have today and will receive in the future, because nothing you have is a right–it’s a privilege. Now, on top of today’s task, identify 3 things you are grateful for today. These 3 things can be events that occurred today, mishaps which could have happened but didn’t happen, or simply things which have always been in your life but which you suddenly came to feel grateful for today. The opportunity to meet up with my secondary school friends later tonight. (We’ve already known each other for 15 years, which is almost half of our age now!!! Yikes! Time flies!) One of the members, Neo, took the initiative to organize a meetup among us (unlike of him actually) so this meetup wouldn’t be possible if not for him. It’s been a while since all of us met in a group like this, so I can’t wait to meet up with the rest! The fast recovery of my future-mother-in-law’s hand. She had quite a bad fall last month (broken bone and all) but luckily it’s healing very well now. Thank you to the universe and Powers That Be for blessing her! Thank you to all of you for being a part of this challenge. All of you are dears in this challenge–Lina (Madalina Sraier), Alexa (Calae), Karin, Spešl Pavrs, Sulthana Begum, Melody, Derrick R Kearney, Annette Hatley, Jeanne Floresca, blessedart, Bette, JadePenguin (Mel), Hanna, Kiki Maria Valera, Andi-Roo, asma, Eli, Vinay Kumar, Anuj Grover, and anyone else I have missed but have been a part of this challenge. Even those of you who didn’t post any comments but have been doing the tasks and even sharing the challenge with your friends/family–THANK YOU. It has truly been my joy to conduct this challenge and I hope there will be many more to come. My next challenge *may* be a frugality challenge, as reader Matt has suggested a frugality article on PE before (I haven’t written anything on this topic yet). We will see. What are your reflections for the five questions in the roundup? See you guys around! 🙂 New posts to resume in two days’ time!